Last week saw the launch of Spa Week by WaySpa for the first time here in Canada and of course, WaySpa.com president Jeremy Creed felt Toronto was the perfect city to kick things off. From April 15 - 21, 2013, residents of the GTA can enjoy luxury spa packages from various spas in and around Toronto for just $50! We're talking one-hour dead sea scrub treatments, aromatherapy massage, Caribbean spa pedicures, and deep hydrating Logona organic facials to name a few. For the past nine years, Spa Week has made it much more affordable for millions of people across North America to experience the healing and therapeutic benefits of the spa, many of which rely on these treatments to enrich their personal health and well-being, manage chronic physical conditions, decrease pain and stress, learn healthy eating habits, and achieve weight-loss goals. 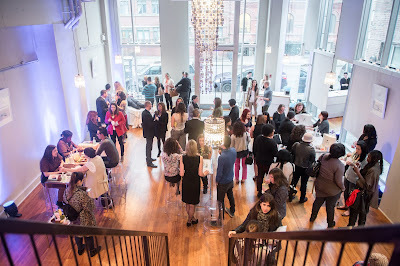 With an extensive menu of wellness services, Spa Week gave Toronto a small glimpse of what lays in store during their launch party last week. My personal fave? An express manicure by DoveSpa, just days before I got to shake hands with Oprah Winfrey. Perfect! 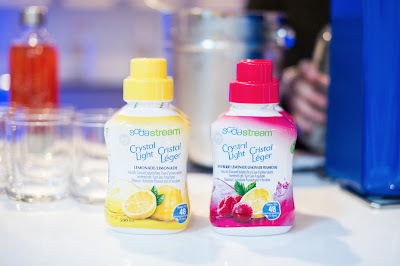 I also enjoyed my first ever sodastream beverage which I found quite refreshing. Attendees enjoyed healthy hors-d'oeuvres, paraffin hand treatments, facials, and more, each leaving with a lovely parting gift full of spa-like goodies and a WaySpa.com gift card. Some of the luxury spas across the GTA participating in Spa Week include The Shizen Spas at the Cosmopolitan and Pantages Hotel, Novo Spa, and Dove Spa. So trust me. I will put that gift card to good use. A day at the spa is more than just pampering. According to Dr. Andrew B. Newberg, it can help reduce stress, detox, live longer, reduce disease risk and feel happier. Heck, I feel happier just thinking about a spa day! 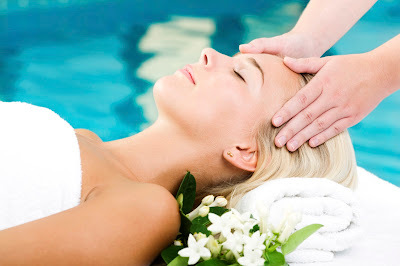 For a complete directory of participating spas, visit Wayspa.com. You can also follow @wayspacom and keep up with the latest by following the hashtag: #SpaWeekTO. Photos courtesy of The Mint Agency. Spa Week sounds fantastic. I am checking out the details now!! This sounds awesome! Could def use a spa week!